Kristen Plati (third from right) and fellow Jury Duty cast members. 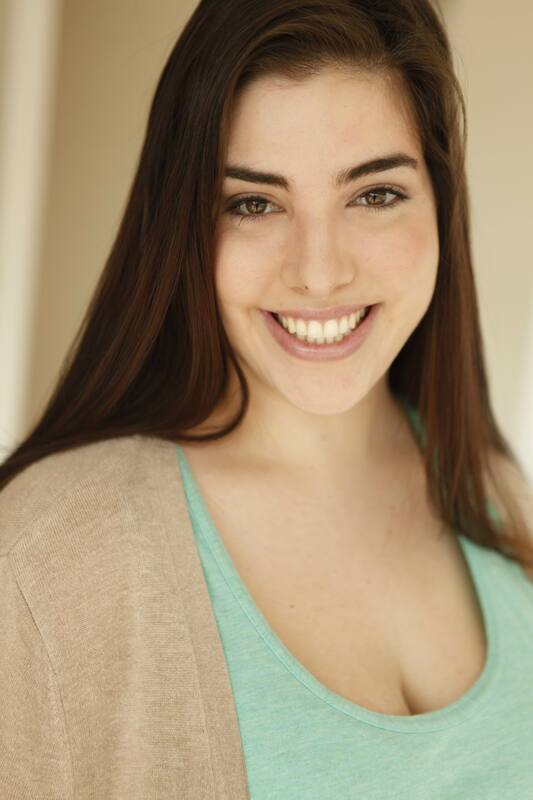 NOW living in New York, former Ocean Reef resident Kristen Plati has just landed her first Off-Broadway role. The 21-year-old recently completed two intensive courses at the American Academy of Dramatic Arts and is now on a one-year working visa that will allow her to continue performing in the country. ‘When I came to the school (January 2013) I was only assured the first year of training, which was condensed into eight months,’ Plati said. Plati said the courses covered different acting and movement techniques, singing, dancing, voice and speech training and camera classes. ‘I used to be mainly focused on singing and felt like I wasn’t up to par in my acting but with this course, I really feel like I have improved tenfold in my acting and in turn it has helped me with my singing too,’ she said. Plati has a leading role playing judge Linda Tutt in the Off-Broadway comedy Jury Duty, which follows the trial of a high school student suspected of killing a fellow classmate and rival gang member. ‘My character is very stern and very proper. She is in charge and she knows it,’ Plati said. When Plati auditioned for the role, director JD Lawrence liked her voice so much he wrote a song specifically for her. t JD decided that he wanted to write one,’ she said. ‘It’s called Broken Wings and it’s soulful and powerful and it really fits my voice. She said she hoped this performance would open more doors on the Broadway scene. ‘I would love to start doing some work on a Broadway stage ” small ensemble stuff and hopefully build up a resume and be considered for the bigger roles,’ she said. ‘All I really want is to be able to keep working. ‘This is what I love to do and I want to work hard at it. The show premieres on August 24 and will be toured around the country.